People will know that you are all about style when they see you wearing this black french cuff Steven Land shirt. Steven Land isn't just a man but a concept of style execution. 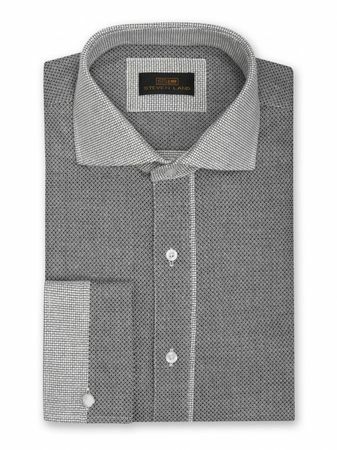 This black french cuff Steven Land shirt is made of a fine basket weave cotton fabric that just looks luxurious and fine. Featuring a spread style open collar that is made of contrasting color, you'll love how you look wearing this black french cuff Steven land shirt.